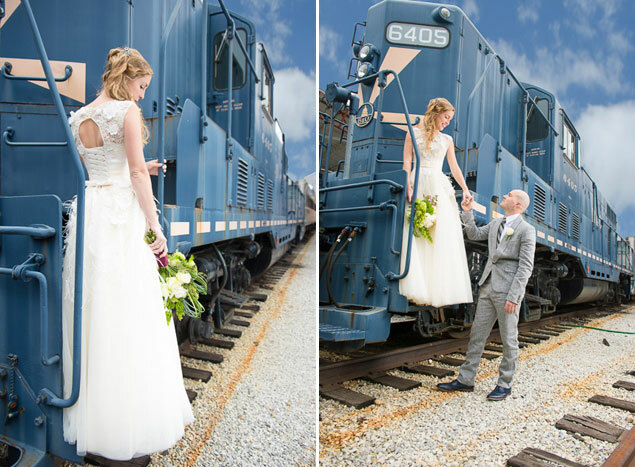 Ashley Michelle Photography recently got in touch with us to share a gorgeous railroad inspired wedding that was styled by a fabulous group of vendors in Baltimore, Maryland. She’s with us today with all of the details from the shoot along with her photos! 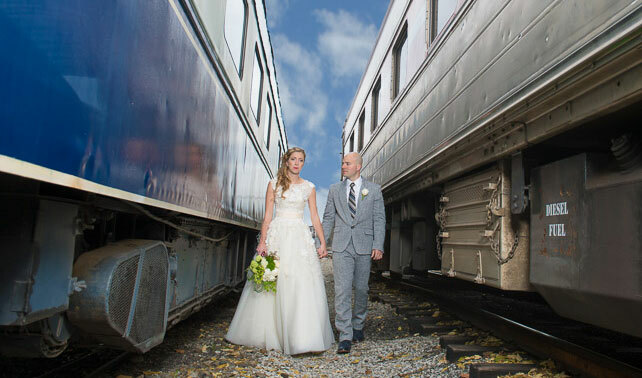 Ashley: � Today’s modern bride craves sophistication and distinction. 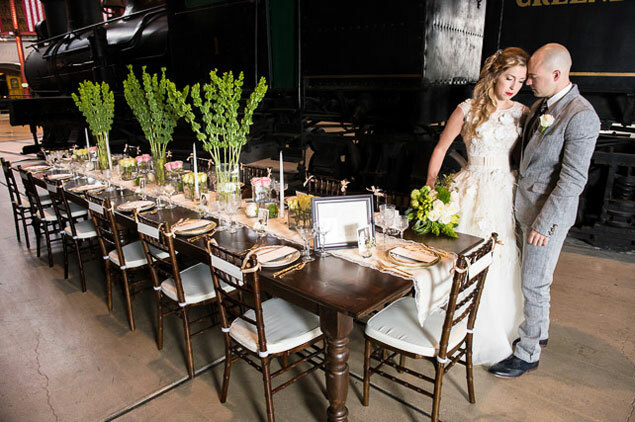 A marriage of the old and the new create this beautiful vintage inspired setting with a touch of glam and a modern twist. 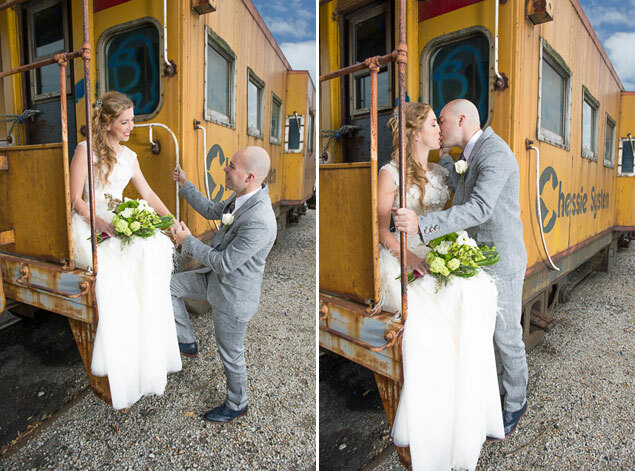 The pure elegance of a neutral color palette contrasts with the powerful backdrop of trains and the glammed up look of our bride to create a unique wedding inspiration. 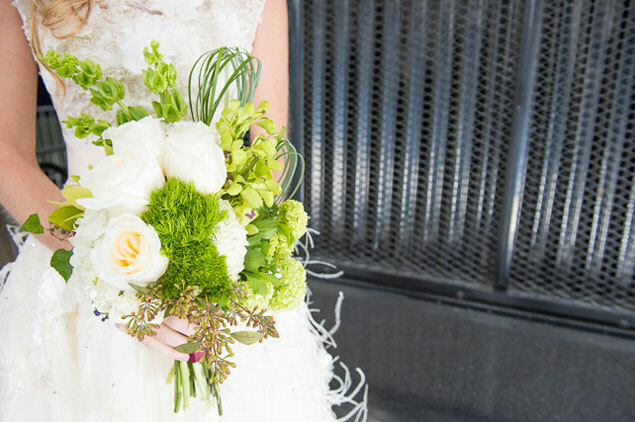 The design was clean, modern and soft to coordinate with the vintage decor and soft color palette. 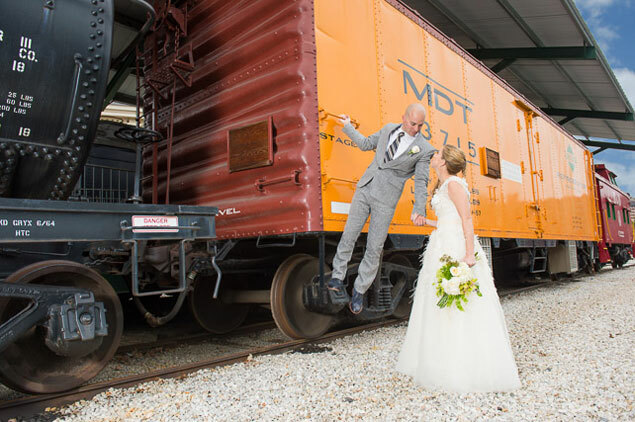 It felt personal and comfortable, thoughtful and fun. 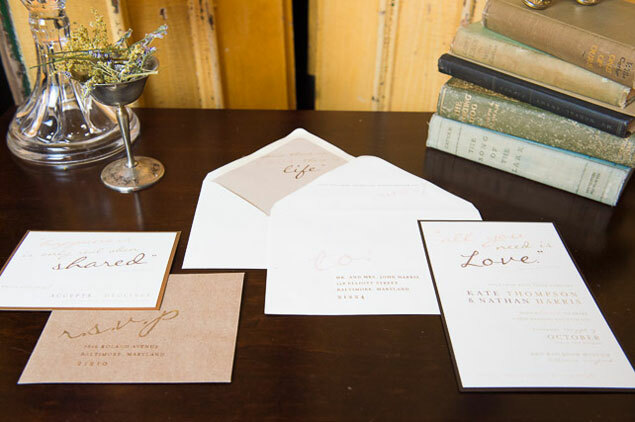 For the invitation and other paper products, we decided to use cream paper layered on shades of brown and gold. 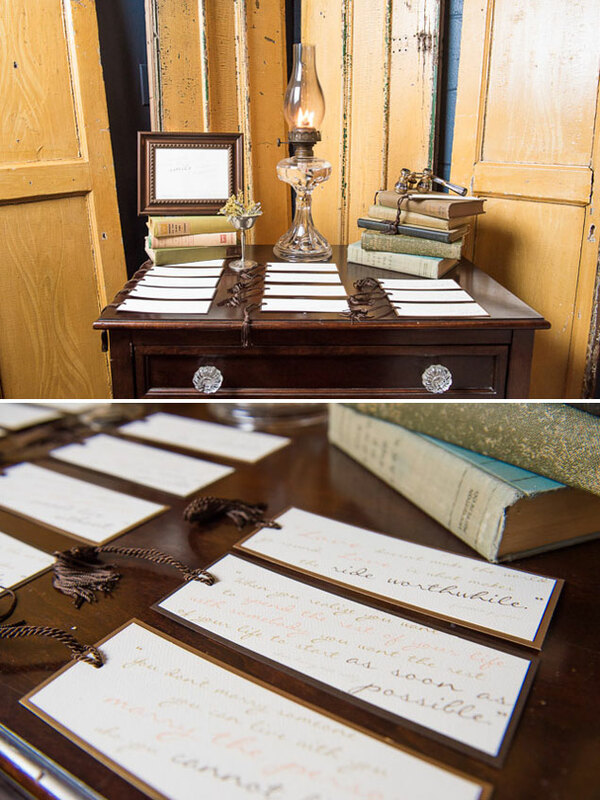 The design was inspired by the vintage books being used on the tablescape and accent tables. 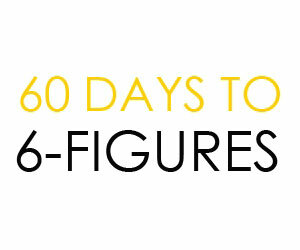 Quotes about love, food, and cake were used as design elements on the various pieces. 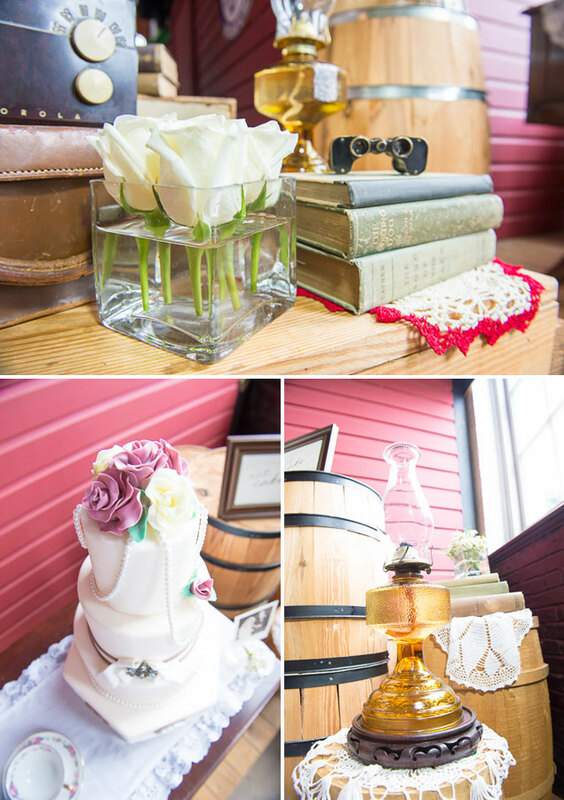 Cute touches like family photos in sepia scattered the table. 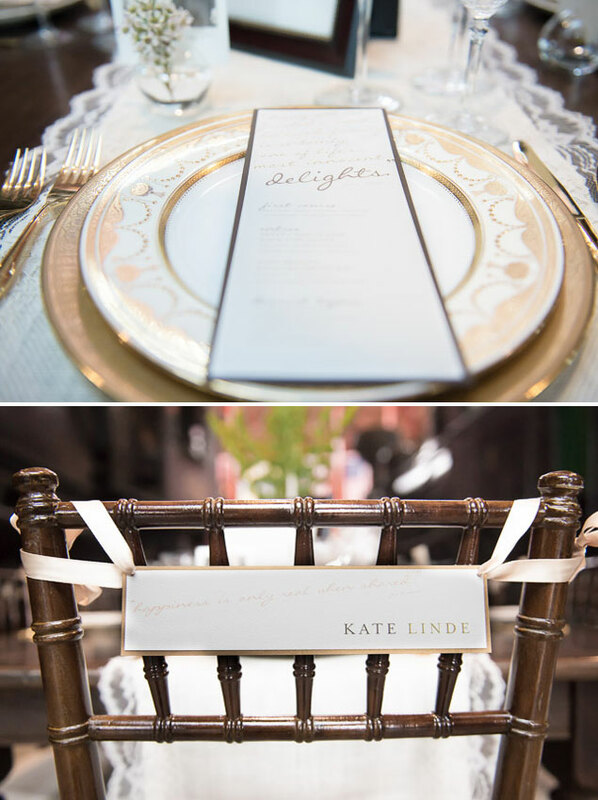 Guests received bookmarks as favors and custom menus and chair hangings greeted guests as they were seated for dinner. 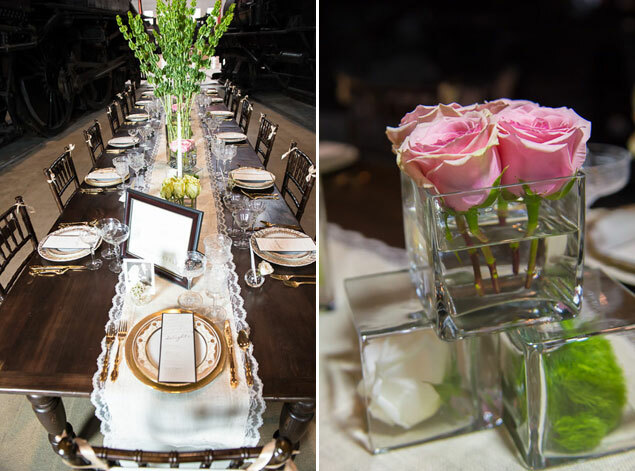 Varying tall and short flower arrangements in modern glass vases adorned the table. 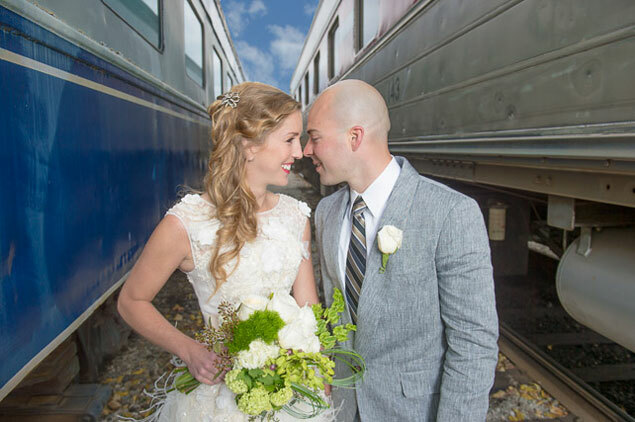 Vintage china and silverware were used as the place settings for guests. 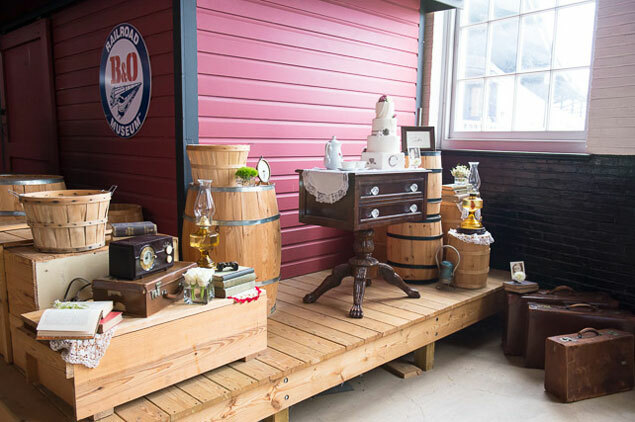 Various other vintage pieces were incorporated throughout the design. 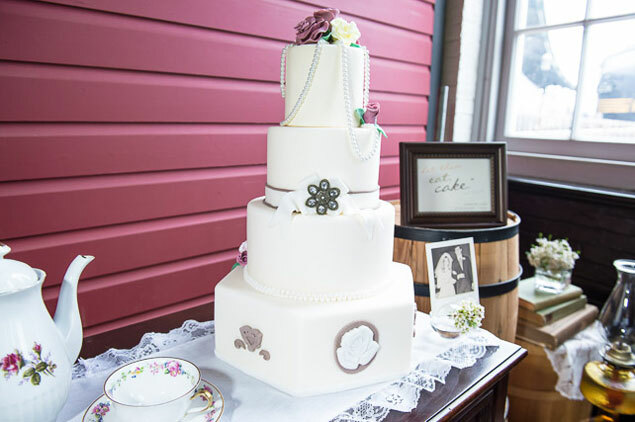 The cake used modern shapes while incorporating pearls, a broach, and flowers to give it a more vintage feel.